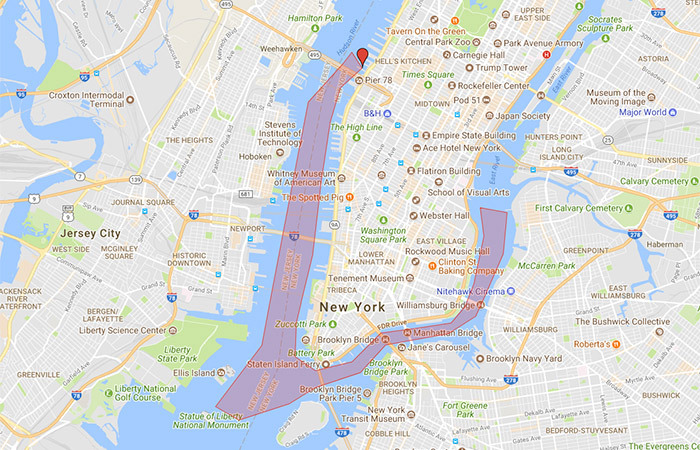 Book the New York harbour lights cruise and marvel at the Manhattan skyline and Statue of Liberty as the sun sets over the city. There is a special atmosphere on board as everyone is moved by the sites of Manhattan and of course entertained by the running commentary. 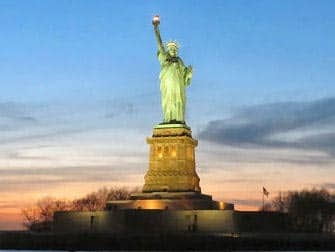 If you are looking for a memorable tour in New York, then I recommend the Circle Line: New York Harbour Lights cruise. One of the highlights of this 2 hour cruise is certainly the guide. Hear interesting, informative and entertaining anecdotes and facts about the city. If you want to hear everything properly, I recommend that you sit inside. If you are viewing the sites from the deck outside, it can be a little difficult to hear the guide due to the wind and chatter from fellow passengers. Do head outside on time to see Lady Liberty in all her glory – up close and personal. Don’t forget to take a coat, it can get very chilly, even in the summer. 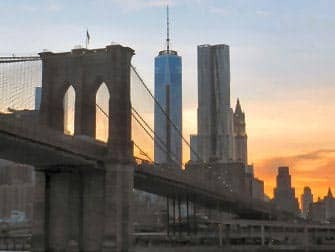 Have your camera ready to photograph the impressive Brooklyn Bridge as you pass under it. Drinks, food and souvenirs are available for purchase on board. After purchasing, you will receive your ticket via email. With this ticket you can board the boat directly (printed out or on your smartphone).